SINCE A HAIR TRANSPLANT IS A BIG DECISION WITH PERMANENT RESULTS, YOU WILL WANT TO LEARN ALL YOU CAN ABOUT THE PROCEDURE AND ITS BENEFITS. Q. Is a hair transplant permanent? The surgical procedure removes hair from where it is growing to a place where it is not growing so that it continues to grow normally and permanently in the new spot. But, there’s no way to know how far your particular baldness will progress. If you are a very young man in his 20s and even 30s, your balding pattern may not be well enough established. There is no exact technology for predicting the future of your balding. Your surgeon will take into account your family history and examine pattern currently but still can’t be 100 percent sure how much more hair you may lose around the transplant. Q. Do I need a diagnosis for my hair loss before getting a hair transplant? Yes. Hair loss can be caused by simple male pattern baldness, or it can be the result of any follicle infections, medications, illness or stress. Before considering surgery, talk to your doctor about your particular diagnosis, since hair transplant surgery may not be indicated or necessary. Q. How does the surgeon move the hair from one place to another? One technique is the strip method, which is a surgical procedure where a thin strip of tissue is removed — this works best for larger areas. Another way to obtain donor hair is through microsurgery called follicular unit extraction, where self-contained follicle units containing roots are removed and placed in the new area. The new trichophytic technique trims the edge of a line closure so that hair actually grows through that line, minimizing line scars. Q. How long does a hair transplant procedure take? Hair transplant surgery can take an entire day to complete depending on how much of your hair is being replaced, the texture of your hair and the density necessary for your desired result. Q. How should I wear my hair once I’ve had a hair transplant? Once you’ve had a hair transplant, you will never be able to use a #1 or 2 razor setting to shave your head or have a buzz-cut hairstyle, because you will want to keep any scars from showing. Keep your hair at least one-quarter inch to one-half inch long, which correlates to a #2 or 3 razor. Q. Should I continue other hair loss control methods after I’ve had a hair transplant? To minimize future hair loss and help new hair grow in as healthy as possible, your doctor may recommend that you start or continue to use FDA-approved Propecia (finasteride, generic) and topical Rogaine (minoxidil, generic) along with laser hair therapy for as long as you want to halt future additional hair loss. Otherwise, hair may recede and erode further beyond your transplant, requiring additional surgeries in the future, because male pattern baldness is a progressive condition of hair loss over time. Q. How should I care for my hair transplant when I get home? A local anesthetic is prescribed during the surgery (like at the dentist). That first night, your scalp may feel sore where the hair was removed but should improve by the next morning. Shampoo gently every day for 14 days post-op to remove the little scabs and any bacteria that form on the implants as healing progresses. Any stitches are removed after about 10 days, and it takes approximately two weeks for crusts to come off. For the first few days, try to sleep semi-upright, at a 45-degree angle, to minimize forehead swelling, for which you can use ice compresses. Any swelling should disappear in a few days and is of no consequence. Q. How long does it take for new hair to grow in? New hair grows in noticeably between three and six months. Your transplant will continue to fill in 20-30 percent more by 12 months, at which time you will have the final result. Sometimes transplanted hair may at first grow in a different, wiry texture as the follicles’ ability to form a normal cuticle readjusts; it will eventually straighten out and soften up. The regrowth process happens gradually, so the change is not so noticeable. Q. Are there any complications I should be aware of? Infections in hair transplants are extremely rare, and the scalp heals well because of the ample blood supply. The biggest problem with hair transplant surgery aftercare is getting an ingrown hair as the hair regrows; your doctor can easily resolve this. Q. How is the cost figured? The price depends on the area to be covered and the amount of follicles necessary to achieve the desired result. Some surgeons charge by the follicle or graft, and some charge by the session. Q. How do I know a hair transplant surgeon is skilled and experienced? 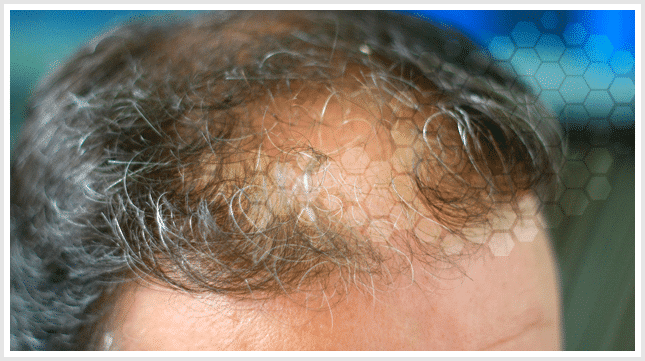 Hair transplant surgery is a specialty requiring medical training, skill and experience. Choose a specialist with an experienced team. Look for a board-certified surgeon who is a member of the International Society of Hair Restoration Surgery. Always ask for referrals to clients.